As someone who intends to become an educator and immensely values learning, I think homeschooling is the worst idea when it comes to raising your kids. Sure, as a parent you get first-hand experience on what you teach your child, but it’s important for them at that young age to be socialized and exposed to many different experiences, opinions, and people. Being homeschooled can rob them of that opportunity. Many years ago, before public schools were nearly as widespread or accessible, children were homeschooled for a variety of reasons—they had to help their families work, they could learn the life skills they needed from their families without formal education, or there simply were no public schools available nearby. In this day and age, when we have so many more resources, modes of transportation, and knowledge about the importance of socializing young children, I don’t think there is any legitimate reason to not put children in public school. I think being in public school gives your child the experiences and social intelligence needed to be a part of society. It exposes them to a world that they may not be familiar with if all of their other learning is done in their home. It’s important to expose your kid to different social scenarios. Being in a class with more people their age is a great way to let them socialize, learn to become independent, create new relationships, or challenge themselves. Homeschooling is a bad choice for many people, especially those with learning issues because they may not get the resources or proper education that they need. Just because a parent has some good qualifications, that does not mean they will be a good educator. Also, it takes a lot of patience and dedication to be a teacher and parent at the same time. Furthermore, being homeschooled does not expose children to different viewpoints or perspectives like public school does, so they may not develop crucial critical thinking skills. 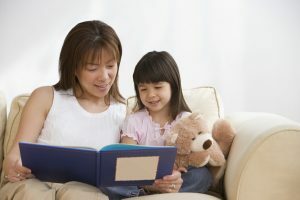 Many parents opt for homeschooling because they do not agree with some of the things that are taught in public schools or are afraid of their kids being bullied. Let’s be real, your kid has to be exposed to other viewpoints somehow, so it’s important to learn how to deal with that kind of stress when they’re younger. Also, if you raise a kid to have the same viewpoints and beliefs as you, or if you shelter them, how will they learn to think for themselves? Yes, many people are homeschooled and are fine. I’m not saying it’s a completely unsuccessful avenue for learning. Frankly, given some of the pro-homeschooling arguments, I can understand why some parents opt for it. However, given the many reasons against it, I don’t think it’s a good idea on the whole.